General Motors has a long history of creating experimental military vehicles, and thanks to the company’s FastLane blog, we’re able to take a look back at some of its strangest and most innovative creation. GM specifically calls out six of these beastly machines that were designed with the intention to keep our country safe. 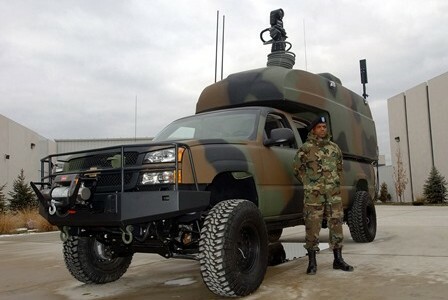 The MGL/MOLAB is arguably the oddest-looking of all the prototypes General Motors created. And what’s a vehicle designed for NASA doing in a piece about military prototypes? As FastLane notes: “NASA might not be part of the armed forces, but once upon a time, it was very closely tied to them.” So there. 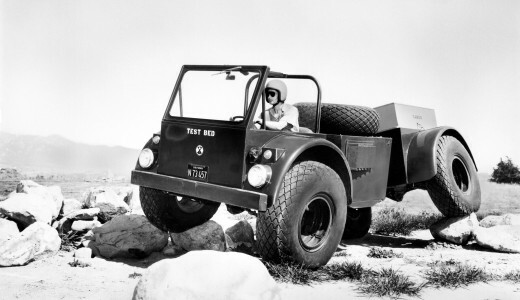 The MGL/MOLAB got its power from a Chevrolet Corvair flat-six engine, and though the big truck could only reach 21 mph when pushed to its limits, “it was capable of traversing 30 percent slopes and side slopes up to 45 percent” grade. 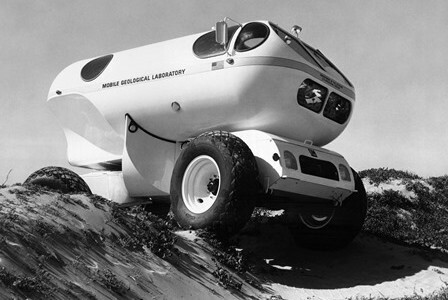 The experimental vehicle never did leave this planet, though, as the truck was instead “used as a geological survey vehicle by the U.S. Geological Survey.” The lone example is on display at the U.S. Space and Rocket Center in Huntsville, Alabama. 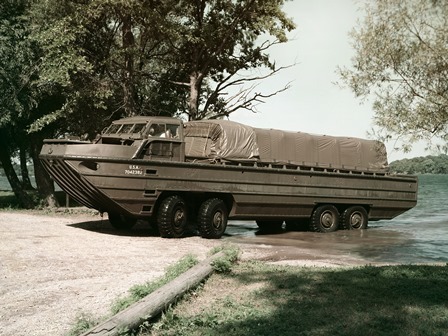 Twenty-two years after the development of the Drake, GMC had yet to give up on the eight-wheeled dream, and in 1986 the MAN-GMC 8×8 prototype was developed. 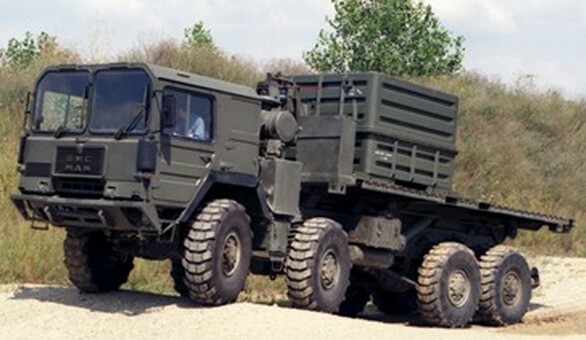 Though the truck looks a lot like the German MAN KAT 8x8s that came before it, the MAN-GMC 8×8 prototype relies on a North American-sourced powertrain. Specifically a Detroit Diesel engine and Allison transmission. 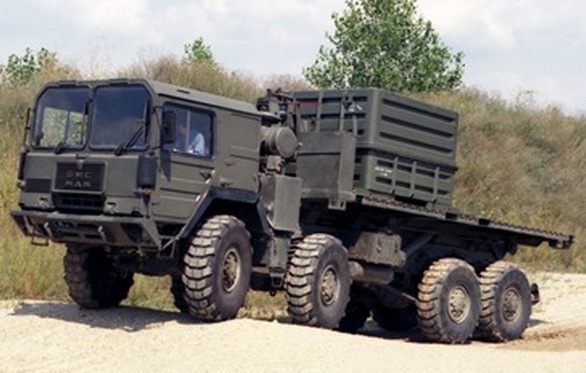 Unfortunately, General Motors’ eight-wheeled MAN-GMC 8×8 never came to fruition. As the century turned over, General Motors’ experimental military vehicles took a new turn into the world of alternative energy. In 2003 the automaker introduced the Chevrolet Silverado Diesel Hybrid, a truck, that as its name implies, was a diesel-electric hybrid. The tough-looking truck used the tried-and-true 6.6-liter V8 Duramax diesel engine and paired it with an electric motor. 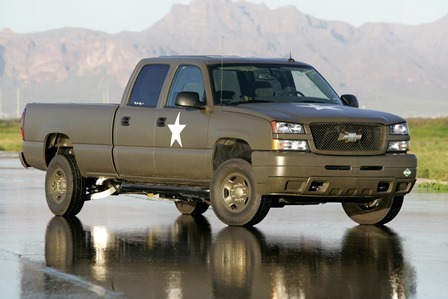 Courtesy of an on-board hydrogen fuel cell, FastLane notes that, “The Silverado Diesel Hybrid prototype was… capable of providing silent power”, an obvious tactical advantage in the truck’s proposed line of military duty. Personally we can’t wait to see the next experimental GM military vehicle. I bet my restored GMC EM-50 Urban Assault Vehicle I bought from Sargent Hulka could take all of em!